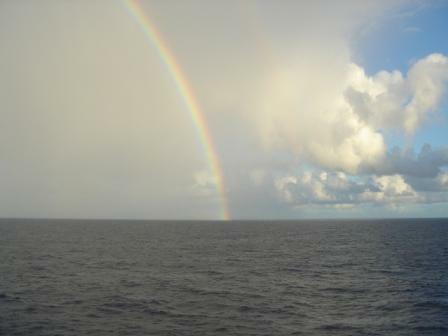 We explorers are off again on Thursday the 27th, across the Atlantic from San Juan to the Azores, Spain, France, and England. We will be taking good notes, lots of pictures, videos, and I hope making a few watercolors. We’ll keep our thinking caps on, and we’ll be on the lookout for stories to share with all of you. More in a few weeks. Stay tuned. 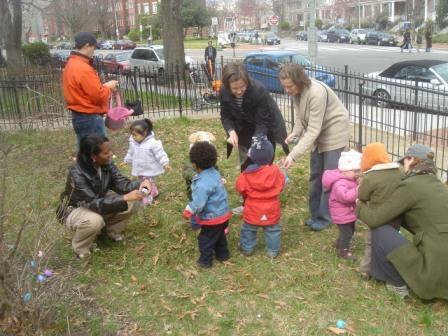 Saturday was egg hunt day at our branch of the Public Library. 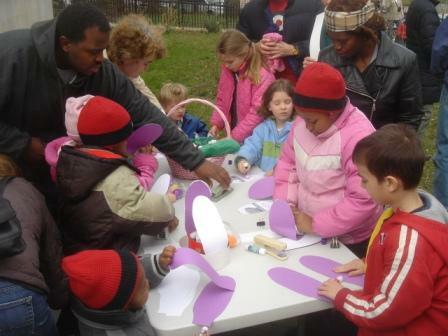 It was great fun to see all the little people, and our neighbors their parents, having a great time together on a spring morning. Amy, who volunteers at the Library, was asked to assist, and somehow I became her photographer. 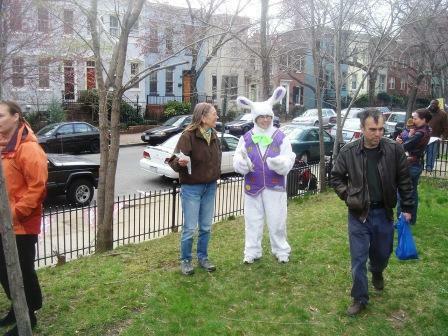 The Easter Bunny is the Library’s Childrens Librarian, Judy. We are not the only ones wandering around the alleys of Capitol Hill. 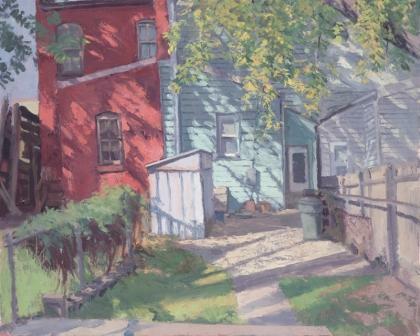 This painting, by a terrific artist here in DC, Brett Busang, illustrates the point that alleys tell great stories. You can see more of his stuff at www.brettbusang.com. So get out there and walk in your alleys! In the last couple of days, I have been making notes from several different articles in the Post. First there was an article in the Business section about the rising cost of diesel fuel. 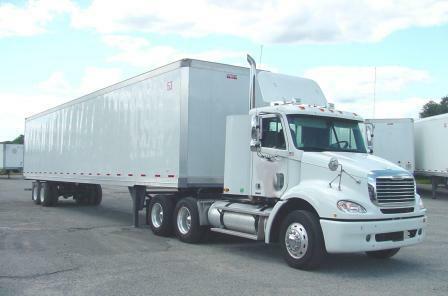 Here is my favorite fact from that article: in 1999 a cross-country trip by tractor trailer truck cost $550; today that same trip costs $1,993.48. (I also note, from that same article, that semis average 6 miles per gallon). The writer suggests that “The rapidly rising price of diesel fuel has the potential to spread through the economy.” Hmm. Do you think? The next day, also in the Business section, an article about rising prices tells us that food costs have risen 41% since October of 2007. 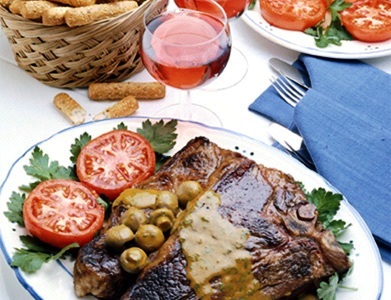 Recall that eatlocal.net, listed at the lower right on our blogroll, tells us that the average dinner travels 1,518 miles to get to our table. Connect the dots. And start that garden. Archaeologists tell us that there were 80 blocks, about 120 feet by 160 feet, with 8 residences per block, typically. 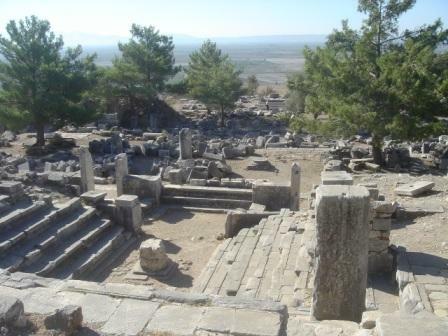 And they tell us that at its largest, Priene had a population of about 5,000 people. Naturally, I started doing the math, to get a sense of the place. Intuitively, I thought that sounded pretty dense. Let’s explore. Each block is 19,200 square feet. If there are 8 residences per block, that means each one is 2,400 square feet. Each had an outdoor courtyard (for fresh air, and for chickens? ), with surrounding rooms. Let’s keep this in mind as we keep calculating. If there were 80 blocks, with 8 residences each, and a maximum population of 5,000, this means that in each of the 640 residences, there was about 8 inhabitants. I am not a paleo-anthropologist, but I suspect some were family, and some were slaves or servants. In any event, they got an average of 300 square feet apiece, not counting the common space of the courtyard. But let’s keep going. If there were 80 blocks at 19,200 square feet, that’s about 36 acres for 5,000 folks, or about 140 people per acre. Now in the contemporary world, urban population densities are measured by the square kilometer, so let’s extrapolate. 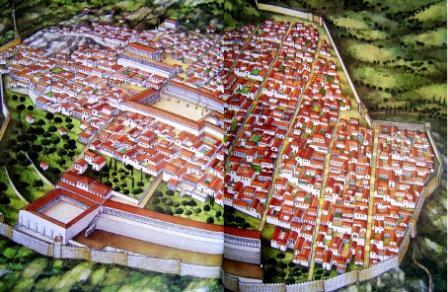 At Priene’s density of 140 people per acre, and since there are 247 acres in a square kilometer, we can compare Priene to cities of today by calculating that if it were a square kilometer, Priene would be home to 34,580 folks. Consulting a chart of the most densely populated cities in the world, we see that this density is 15% greater than the densest city in the world, Mumbai, and 2.5 times more dense than Shanghai. Yikes. Intuition was correct, and then some. 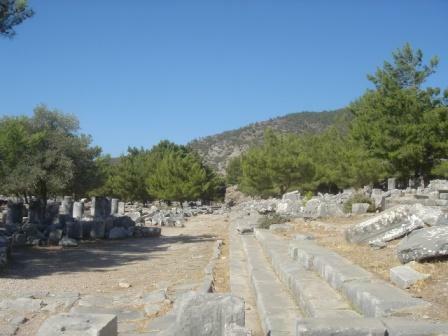 Now it’s easier to imagine life in the walled city of Priene. It must have been very exciting, and interesting, to stroll the streets, bursting with activity and crowded with people. It seemed so serene the day we visited. In the end, I suppose, all cities are temporary, changing and reforming over time, responding to the nature, literally, of their surroundings, and sometimes disappearing altogether. Witness Priene, an ancient Ionian city built on the shores of the Aegean, on the Anatolian Peninsula in Turkey. 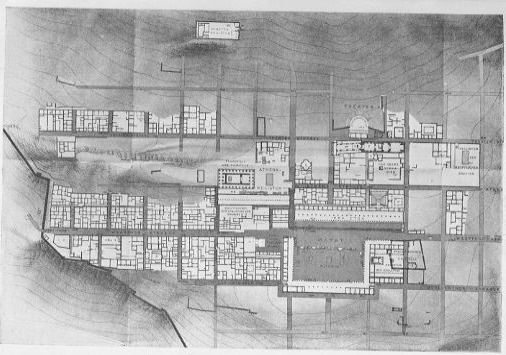 Priene is a city now often studied by students of architecture and urbanism because it is one of the first cities built in a grid plan. The blocks are about 120 feet by 160 feet, and each block had 8 dwellings. There are 80 blocks. We had the opportunity to visit Priene last fall, and it is a very beautiful town, with spectacular views of the Maeander River valley, and the distant Aegean. 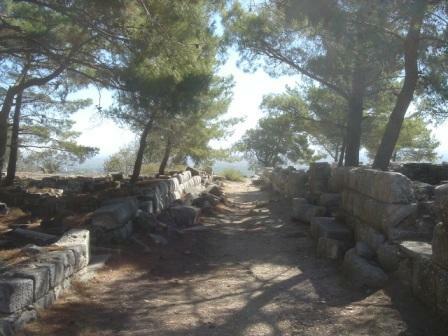 When Priene was constructed sometime in the 4th century BC, the river and the sea met at Priene’s feet. 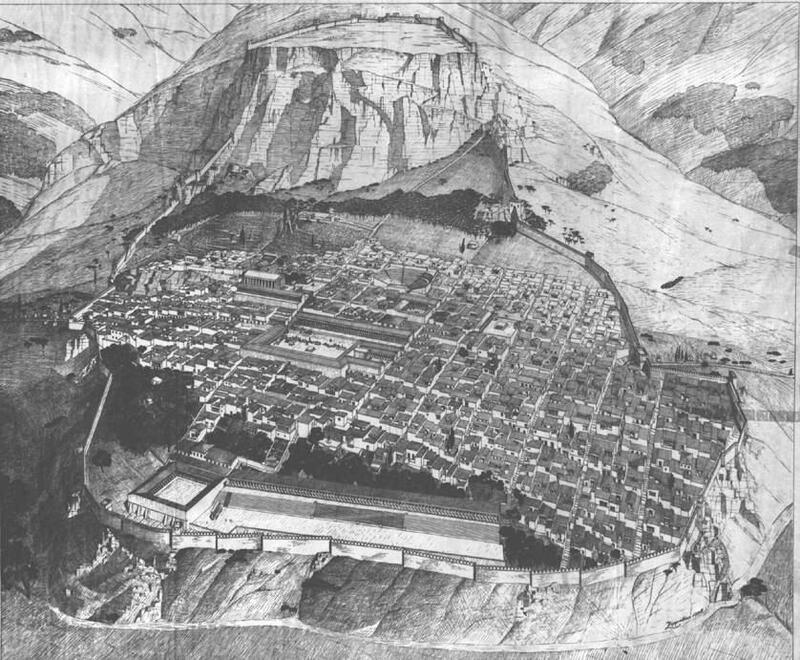 The city, built on terraces on the side of Mt. Mykale, had a fleet of ships, and acted as a port. Alexander the Great lived in Priene for a while, and Priene was quite a civilized place, with a Gymnasium, theater, what was reportedly an excellent market, temples, even an acropolis on the summit of Mt. Mykale, 700 feet above. But by the time of the Romans, things were getting a bit dicey in Priene. The Maeander River delta was silting up, and the Aegean was becoming more and more distant. By the middle of the 2nd century AD, Priene burned, and while residents returned and rebuilt, it was now plagued by epidemics of malaria: mosquitoes in what were now swamps surrounding the town swarmed Priene’s hapless residents. 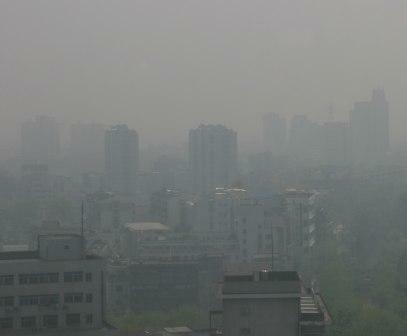 After a few centuries, even the swamps were gone, and the city remained inhabited until it was abandoned in the 14th century. 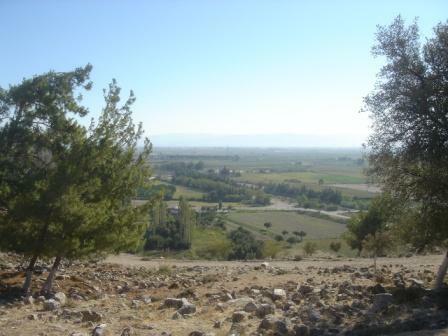 Today the river is a trickle, several miles away, and the Aegean is more distant, nearly 8 miles away. 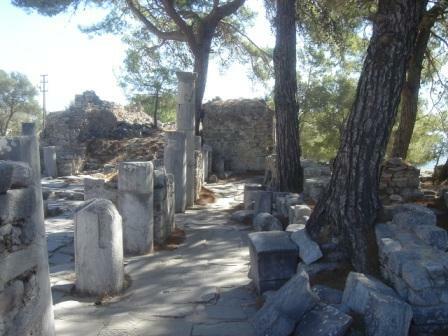 Priene was built first as a water city. 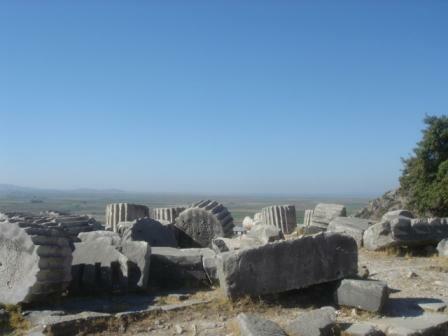 As water disappeared, Priene tried to adjust, but nature, not to be denied, won in the end, as always. Sea town to hill town to no town. So to be as clear as I can, I invite you to read the text below. It is an edited version of an article from The Guardian, in the U.K. It was written by Decca Aitkenhead, and was published March 1st of this year. It is an interview with noted British scientist James Lovelock. Some say he is daft, and even a non-scientist like me can quibble with some of his beliefs and attitudes, but the picture he paints is unfortunately clear. While this excerpt sounds pretty hopeless, there are many scientific voices nearly echoing these predictions. Yesterday, in the releases of two separate scientific enquiries, both said that if we humans cannot get to zero carbon emissions by mid-century, global warming will be irreversible. You can decide who you want to believe, but whomever you choose, the outlook ahead is very, very difficult. 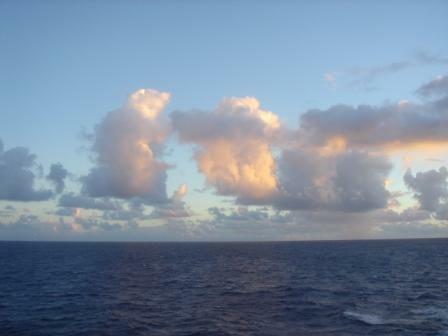 Already I am reading articles about Cligration – climate change migration, as researchers begin to search for higher ground. Lovelock believes global warming is now irreversible, and that nothing can prevent large parts of the planet becoming too hot to inhabit, or sinking underwater, resulting in mass migration, famine and epidemics. Britain is going to become a lifeboat for refugees from mainland Europe, so instead of wasting our time on wind turbines we need to start planning how to survive. To Lovelock, the logic is clear. The sustainability brigade are insane to think we can save ourselves by going back to nature; our only chance of survival will come not from less technology, but more. At moments I wonder about Lovelock’s credentials as a prophet. Sometimes he seems less clear-eyed with scientific vision than disposed to see the version of the future his prejudices are looking for. A socialist as a young man, he now favours market forces, and it’s not clear whether his politics are the child or the father of his science. His hostility to renewable energy, for example, gets expressed in strikingly Eurosceptic terms of irritation with subsidies and bureaucrats. But then, when he talks about the Earth – or Gaia – it is in the purest scientific terms all. What would Lovelock do now, I ask, if he were me? He smiles and says: “Enjoy life while you can. Because if you’re lucky it’s going to be 20 years before it hits the fan. Whether you believe Lovelock a lot or a little, surely in the face of these issues alone, the state of most current architectural and urbanist thinking is ridiculously irrelevant. The real question: what kind of next cities do we make in the face of these kinds of predictions? 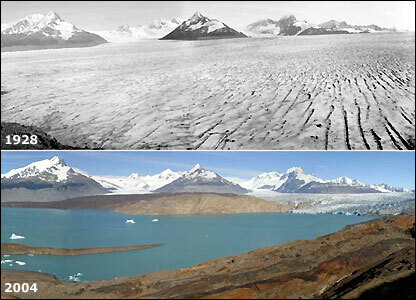 Upsala Glacier, Argentina, then and now.